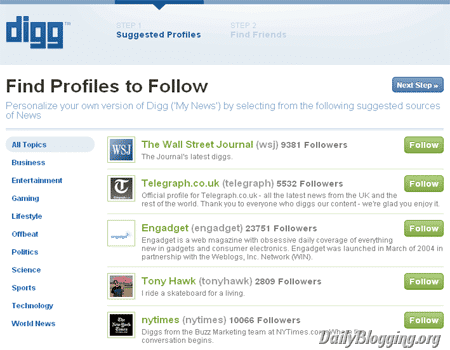 Digg was once considered the king of Social Media. 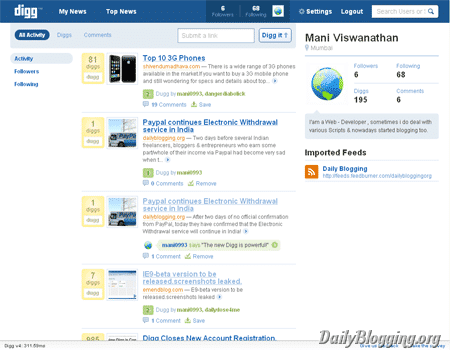 But after the arrival of Facebook & Twitter its popularity got affected as both the sites had a different and much likable concept than Digg. 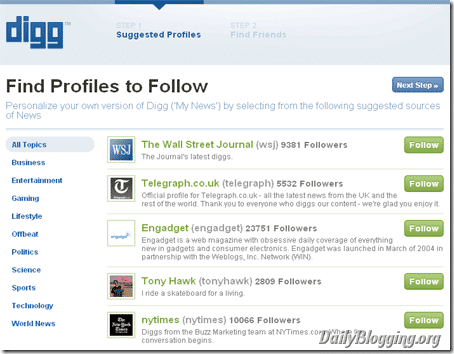 But Digg still remains popular among bloggers, Internet users and Diggers of course! People who know how to use digg will love it. But Digg is such a Social site which requires its users to spend dedicated time on it. Its not like other Social Media sites wherein you get followers, friends with less dedicated time. It has a different set of rules to success which are hard to follow for freelancers, bloggers who need to focus on their main job rather than working on Digg to achieve success with that social network.But Digg has understood this thing and decided to come out with Digg V4 which will be easier for its users, a complete redesign though not many changes in it except a few major one’s. That’s the image you will get on the Register page if you click on the Join Digg tab on Digg. 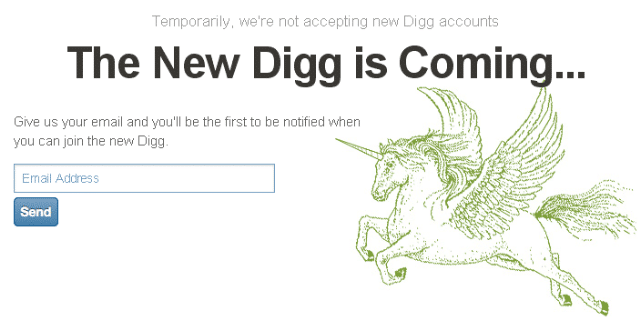 Why Digg closes Registrations ? The answer to this is quite simple. Digg is smarter enough to get hyped around for Digg V4. 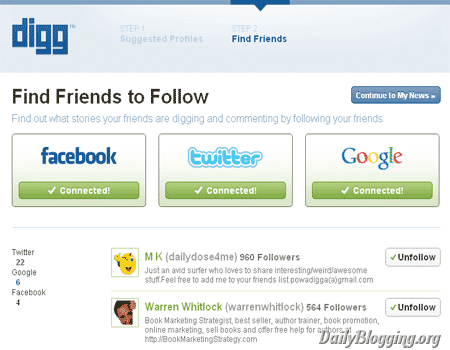 It has now given beta invitation system to current Digg users to be able to invite up to 5 people using emails. But I don’t think this will work. Reason because already many who are connected to social media are already part of Google. 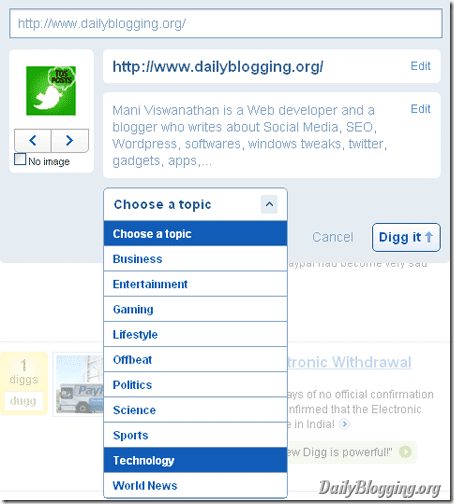 Maybe a few new people may want to preview Digg v4. Also, Invitations kept to a number limit of 5 is too less. But this way they are expecting to receive some hype about Digg V4. Although, for me this doesn’t seem to work. In and around the month of April, there were many leaked images of Digg V4. But here I will be posting some Legit images from of Digg V4 from my account @mani0993 on Digg. 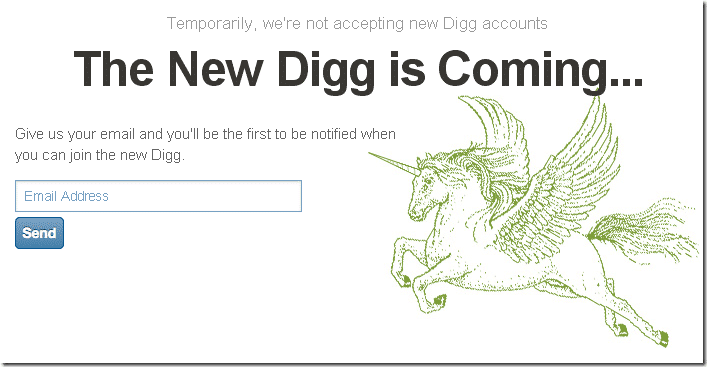 So if you are given an Invite to access Digg V4 then the below image will be your first visit after you setup your account. 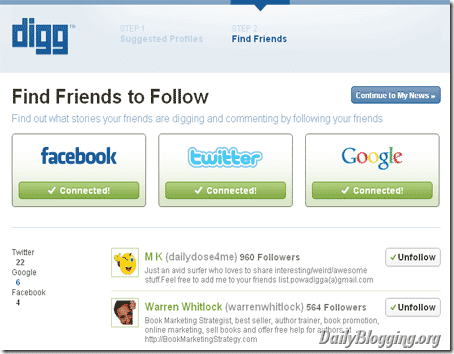 This step gives you a chance to follow your own friends who are using digg by searching your friends on Twitter, Facebook & Google Account. 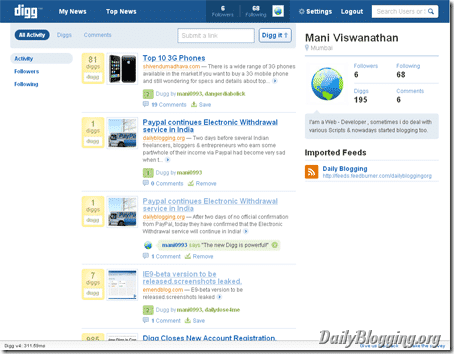 A new redesigned profile page. Looks elegant but takes less time to load. You can also view the load time just like a status bar at the bottom of the page which is fixed as you scroll. 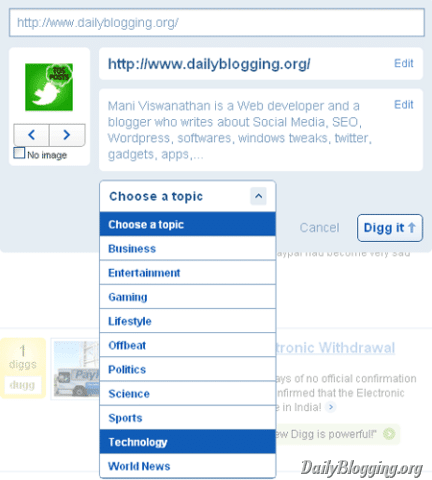 You can also give them a Feedback regarding Digg V4. Quick Digg it! in their words. This is the most amazing feature on Digg V4. Personally loved it. Gives all the options on just one click (Ajaxed) Look at the image and you will understand why I love it so much. So what you have to say after seeing these images ? Did you try Digg V4 or gonna try. Give your opinion about it using the comments section. Also, a Digg to this post would certainly be appreciated! Still now I din get any invitation from them. But if i get one, I will surely give it a try, since it looks quite good. I have put up a GiveAway for Digg V4 Alpha Invites. But since you have asked it first, I will mail you directly. So that u don’t need to follow the contest rulz! It’s very cool, Mani :). I’m part of the Digg v4 testing and so far I’m loving it. I love their new design and their new ad forms. I even talked about that today on my blog. And now Digg is allowing all the testers to give away free invites. For me I’m allowed to give away 5 but I don’t know how many others are allowed. If you are part of the testing, how many invites have you been allowed :)? It’s very Twitter-ish, isn’t it?